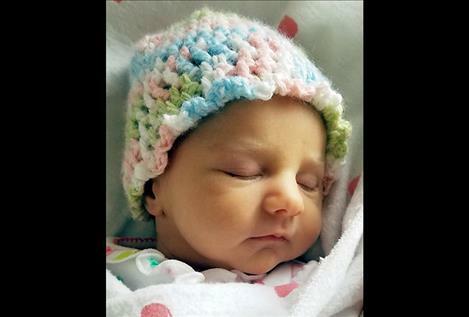 KALISPELL — Evelyn Blanche Johnson was born on May 3, 2018, at Kalispell Regional Medical Center. She is joyfully welcomed by parents, Martel and Erik Johnson, and big sister, Ellie Johnson. Grandparents are Rod and Cindy Johnson of Polson and Mark and Vickie Memmer of Jackson, Wyoming. Let the adventure begin. POLSON — Takoda McLeod is excited to announce the birth of brother, Hudson Henry McLeod. He was born April 30, 2018, at the Nesting Place in Providence St. Joseph Medical Center. Hudson was 20 inches long and weighed 7 pounds, 13 ounces. His parents are Brook Tobol and Alfred McLeod of Charlo. Maternal grandparents are Tana and Steve Tobol. Maternal great-grandparents are Bob Lulow, Sherry Fleenor, Sharon Hill, Judith and Dave Tobol. Paternal grandparents are Sherry and Demius McLeod. Paternal great-grandparent is Leota Greniere. POLSON — Remi Sandy Henderson was born May 15, 2018, at St. Luke Community Hospital. 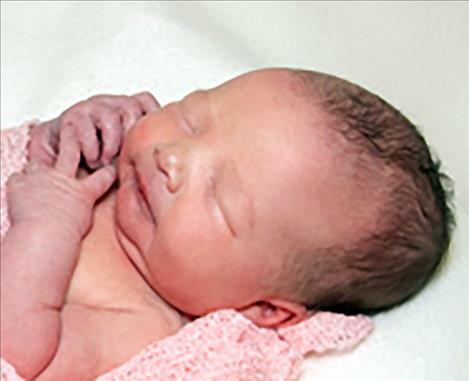 She weighed 6 pounds, 15 ounces. Parents are Gage and Meagan Henderson of Polson. Paternal grandparents are Steve and Adora Henderson of Pompey’s Pillar, Montana. Maternal grandparents are Bud and Colleen Flodan of Chicago, Illinois.